Are You Your Own Investing Worst Enemy? Ever think that you need to take decisive action to bring your investments under control? Ever wonder exactly what moves you should make the next time the market moves up or down? 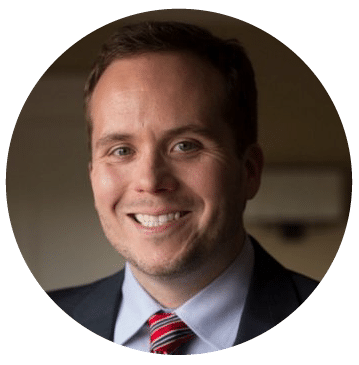 We’ve got you covered, because Dr. Daniel Crosby joins us to talk about how to avoid getting in your own way with your investments. We’ll discuss exactly why decisive moves might not work, why your brain is horrible at investment decisions, and more. As always when we talk to Dr. Crosby, it’s a fun, fast paced, and (shocker) educational interview. Plus in our headlines segment, if you’re an army reservist trying to get into the financial industry, we’ll look at one company, LPL Financial, who’s teaming up with the Army Reserve to give military members an opportunity to become financial advisors. Then, in our second headline, what’s in store for the future of HSAs? We’re taking a look at MorningStar’s newly released report on the Health Savings Account landscape. Then we’ll throw out the Haven Life Line to Chuck. Can Chuck take out a Roth IRA loan if the rental home is in the Roth IRA? After we give some advice to Chuck, we’ll still have time to answer a letter from Brooke. With a yearly raise of $1200, should Brooke put that money to their debt, which will be paid off in 18 months, or take advantage of their employer match? Thanks to MagnifyMoney.com for sponsoring Stacking Benjamins. MagnifyMoney.com saves users on average $450 when they compare, ditch, switch and save on credit cards, student loan refinancing, checking, savings and more. Check out MagnifyMoney.com for your savings. What network not only calls the Rockefeller Center home, but also broadcasts the annual tree lighting live? Chuck wants to know if it’s possible to take money out of a Roth IRA if the rental home is still in the Roth IRA. Brooke recently got a raise of $1200 a year. Should Brooke put that money toward their debt (which will be paid off in 18 months anyway), or towards their Roth and max our their employer match?